There’s no mail service on Monday due to the Columbus Day holiday, but postal workers will be showing up at postal facilities and at local Congressional offices around the country to rally against a proposal to privatize the US Postal Service. The APWU is supporting the October 8th day of action. U.S. Postal Service employees, joined by community supporters who oppose selling off the U.S. Postal Service to a private corporation, will rally at 140 sites across the nation on Mon., Oct 8. Among them are rallies scheduled for Chicago and Philadelphia that will include several members of Congress and a Washington, D.C. rally on Freedom Plaza, two blocks from the White House. Click here for a list of rallies. Participants in Monday’s event, who will be carrying signs reading, “the U.S. mail is not for sale,” are sounding an alarm against a proposal – announced in June by the White House’s Office of Management and Budget (OMB) – to privatize the U.S. Postal Service (USPS). The White House’s blueprint to “reform” government services claims – with no evidence – that the USPS “can no longer support” the current universal service requirement that requires daily mail delivery, six days a week, to 157 million U.S. addresses. Additionally, the report previewed likely recommendations from a presidential task force that would include selling off the USPS. The task force report that was due on the president’s desk August 10 has not yet been released. 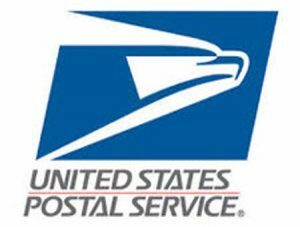 According to a Pew Research Center poll conducted earlier this year, the Post Office gets the highest ratings of any major government agency, with 88 percent of Americans expressing satisfaction. Opposition is mounting in Congress to selling off a service that has such strong public support across party lines. A majority of the House of Representatives, 219 members from both sides of the aisle, are co-sponsoring a resolution calling for the USPS to remain “an independent establishment of the Federal Government… not subject to privatization.” Every day more members are adding their names to the resolution. The Postal Service, which is based in the Constitution, delivers 40 percent of the world’s mail without receiving a dime in taxpayer dollars. See the APWU website for more information on the day of action. Americans should be aligned with postal workers, the USPS can add many services to increase income and reach, in the UK the Royal Mail is very expensive and there offers half of the features and services than the USPS was offering since the 70s. We have to pay for tracking and much more for sign for, senders have only papers to show tracking, nothing available online for regular merchants. You need to pay extra for a lot of basic services, and yet, they added banking, currency exchange, insurance and other services to postal locations. The service is fast, but it was always pretty fast, when 70% of people live in 3 or 4 cities, it is easier to deliver in a day or two. There is no need for Royal Mail to increase prices and still, they seem to increase prices at least once a year. The main issue is Amazon and if the USPS wants to fix this issue, they have to direct their efforts to Congress and also to stop Amazon ridiculous abuse. As an example, I usually purchase some 2.5 lb items from a Phantom Amazon account on eBay, yes, inside eBay. The price I pay is under 4 dollars, with free shipping. It is delivered by USPS in an Amazon box. Anyone knows that the cost of shipping a 1 lb plus item is Priority Mail rates, which is almost 6 dollars, now, add the cost of the item, the eBay selling fees, packing materials and men hours…. Somehow, Amazon has a way to ship FOR FREE, and unless anyone can tell me how they ship a 2.5 lbs item, in 2 days for under 4 dollars with Free Shipping, I will keep saying that Amazon has a very clear, unfair advantage that is destroying American businesses. I can go on an on about so many abuses and unfair practices, but as with everything today, we will have the low IQ angry people who will say otherwise. Sorry folks, the USPS is doomed, if Congress says the USPS will be privatized, it will be private, because it will add an extra cost to our sales and will make our products look expensive compared to Amazon. I see no initiative to stop Amazon abuse, will anyone help? It is free shipping to consumers….but it is not free for Amazon. We (meaning USPS in this case) have a contract with Amazon that charges them a certain amount per box delivered. It’s my personal, opinion though, that they are still getting a very good deal. But every year, the contract is reviewed and updated as necessary with postal bigwigs. Honestly, without Amazon….we’d be hurting. I remember one day I arrived at work as a carrier during the Christmas season and our Amazon truck driver had gotten into an accident. No Amazon delivery that day. My usual haul of 80 packages or so for the route was knocked down to a ridiculous five. They do make up a large part of our income flow. Why havent postal workets rallied against the china shipping deal? Thats selling usps out to china for crumbs. Oh yea..cause the workers dont truly care..they only care if usps is privatized..they will lose their gaurenteed retirement. Not shedding a tear for them..sorry.